Smokey Bones Bar & Fire Grill menu prices at your fingertips. Smokey Bones Bar & Fire Grill is an American casual dining restaurant that serves hamburgers, chicken and chicken wings, salads, sides, pasta, sandwiches, grilled beef rib-eye & grilled sirloin steaks and barbecued meats including baby back ribs, beef brisket, turkey breast, and pulled pork. Also serves Lunch and desserts. Kids will not feel left out of their very own choices. Smokey Bones Bar & Fire Grill also offers food & drink specials such as ‘All You Can Eat Wings’, the ‘Giant Rib-Eye Dinner’ and ‘All Day Every Day Drink Specials’. Below are the latest Smokey Bones menu prices. A great way to show people that you know great food and BBQ is by handing out Smokey Bones Bar Fire Grill gift cards. Cards can be ordered online and delivered via postal service or you can buy them at your preferred Smokey Bones location. There is no need to be without your favorite Smokey Bones dish if you cannot visit the restaurant. Online ordering is quick & easy. Get to the Online Ordering page on the website, select your nearest location, choose your favorites, select pick-up time and checkout. Great food and no kitchen clean-up! Nothing says insider like being part of the club, the Bones Club. Sign up is free and simple (don’t tell anyone). Earn points on every purchase you make at Smokey Bones. Collect points towards free food on future visits. You also get a free dessert for your birthday. Sign-up to get regular emails about the latest events, special offers, store coupons plus anything else worth sharing. If you are looking for a challenge then join Smokey Bones Bar & Fire Grill to become a Firestarter. As a Firestarter, your goal will be to help grow the Smokey Bones Bar & Fire Grill in the casual dining industry. If you are a high-energy individual that enjoys working in a fun & casual atmosphere, then Smokey Bones Bar & Fire Grill is the place for you. Head over to the official website and check out the list of current openings. For those guests that are following a calorie-restricted diet, Smokey Bones makes it easy to know the calories of each of their menu items. A complete nutritional guide with calories is available on the Smokey Bones Bar & Fire Grill website. The health & safety of guests is important to Smokey Bones. Smokey Bones makes every effort to provide guests with an accurate guide to allergens in their menu items. The guide lists 10 allergens plus gluten. Be sure to check it out before your next visit to Smokey Bones. The Smokey Bones Barbecue concept was first opened in 1999 in Orlando, Florida, by Darden Restaurants, Inc. In 2007, Smokey Bones Barbecue concept was sold to Barbecue Integrated, an affiliate of Sun Capital Partners. 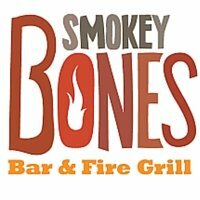 Barbecue Integrated updated the name to Smokey Bones Bar & Fire Grill. Today, there are 66 locations in 17 states on the U.S. Eastern seaboard. After purchasing Smokey Bones from Darden, Sun Capital Partners worked on redesigning and re-branding the restaurant to acquire a new clientele base. For more information about Smokey Bones, please visit their official website. The past two weeks I sent and email regarding the Smokey Bones gift card. I just want to know if the gift card is good to use? I have not received any response.